Belize City, Monday 3rd April, 2017: The Belize Tourism Board (BTB) is pleased to announce that Ambergris Caye along with several Belizean accommodations have won awards in seven of nine top categories in the TripAdvisor’s 2017 awards list, both at the World and Central American categories. 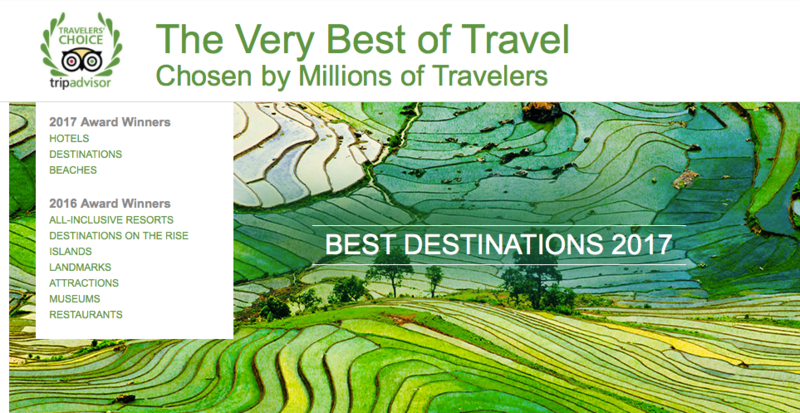 TripAdvisor is a travel planning and booking site, and its Travelers’ Choice award winners were determined based on the millions of reviews and opinions collected in a single year from TripAdvisor travelers worldwide. In the 15th year of the awards, TripAdvisor has highlighted the world’s top 7,612 properties in 109 countries and eight regions worldwide, in the categories of Luxury, Bargain, Small, Service, Bread &Breakfast and Inns, Romance and Family. The hallmarks of Travelers’ Choice hotels winners are remarkable service, value and quality. This year Ambergris Caye ranked second in the top 25 Destinations for Central America and 17th in the top 25 World Destinations category. San Ignacio, Cayo District, also ranked 6th on the top 25 destinations for Central America.